Red strawberries splashing into water on white background frozen in midair. 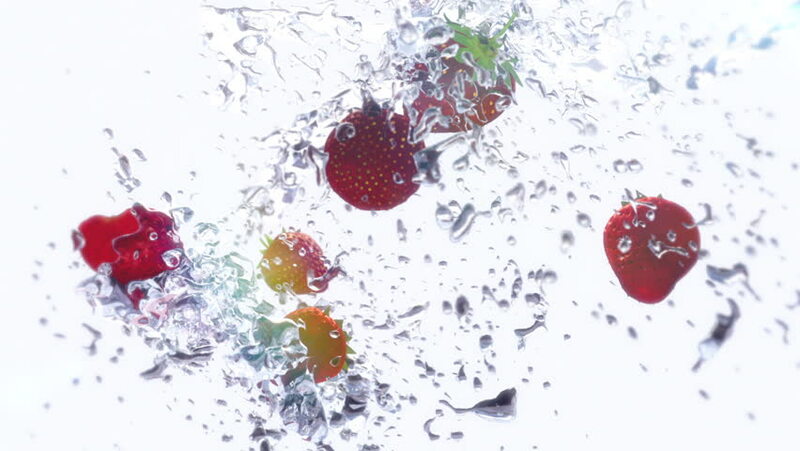 hd00:13Red strawberries splashing into water on blue background frozen in midair. This video is loop able. 4k00:26Tomatoes water splash in super slow motion, shot with high speed camera Phantom VEO 4K , 1000fps. 4k00:06Falling and splashing cherry tomatoes on water. Slow motion. 4k00:14Super slow motion of falling tomatoes into water. Filmed on cinema slow motion camera, 1000fps, ProRes 422 HQ codec.